The Sony Xperia 10 has a metal monologue in place of the Gorilla Glass finish found on the Xperia 1, so you get a slightly less stylish but still solid device. The curved corners and rounded edges make it a charming mid-range device, only the Xperia XZ3 offering a more curved back. A dual rear camera is present in the center, top at the back of the Xperia 10, with the Sony and Xperia brands in the center and at the bottom respectively. It offers the HDR format and offers a feature called Creative Mode that aims to guarantee you see the content in the way the director has proposed to you. The Xperia 10, however, offers the 21:9 formats, which includes the Xperia 1 headlight and the largest Xperia 10 plus midrange. The Sony Xperia 10 comes with a dual camera at the back, like the Xperia 10 Plus, although the specs are different. The Xperia 10 combines a 13-megapixel sensor and a 5-megapixel sensor. Although it offers features similar to those of the larger model, including images in Bokeh format and 4k video recording, it lacks optical zoom. The lens of the 8MP camera is incorporated in the front for supreme selfies. The Sony Xperia 10 comes with the Qualcomm Snapdragon 630 platform under its hood, which is a slight setback compared to Xperia 10 Plus. There is also a slight reduction in RAM of 3GB compared to the 4GB in Xperia 10 Plus, although the storage is the same at 64 GB and the support of MicroSD cards for a storage extension up to 512 GB is supported. Its battery capacity is slightly lower than the 10 plus, as it has 2870mAh. But, it is still enough for an Xperia 10 to survive all day while making it easy for you. Although the battery is a little lower compared to that of other smartphone manufacturers, it still offers a good backup. 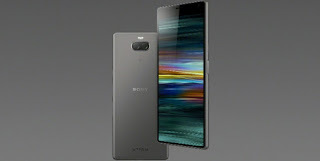 The Sony Xperia 10 is available for pre-order as it will be released on March 18, 2019, worldwide, including Australia. As far as the Sony Xperia 10 price in Australia, it could cost AUD 550 only and soon will be available in Australian markets.